I measured across the front of the sweater and cut straight down the middle. 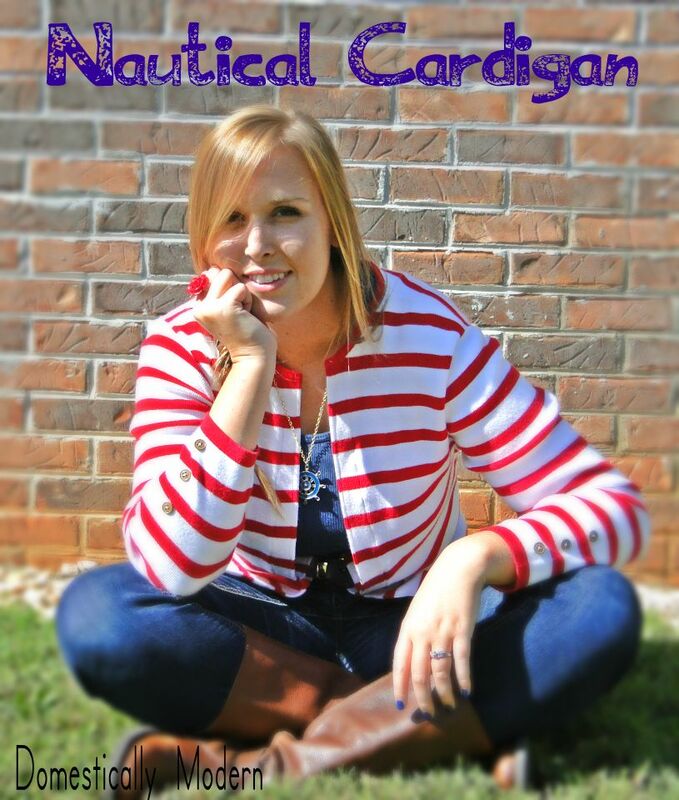 So there you have it my nautical sweater for a whopping $3 instead of $45 somewhere else! A little thread and a few buttons go along way! I'd love to see your sweater refashions! Leave a comment! 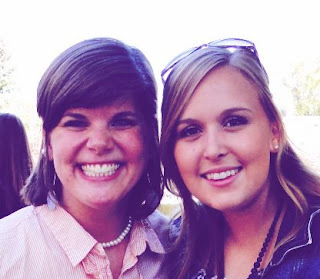 This post has been linked to The Stuff of Success, Tater Tots and Jello, and Classy Clutter. Brilliant, Nikki! I love it! Super cute! Aww thank you! I'm glad you like it! You know you can even do this without a sewing machine!!! Thanks so much for linking up at the CHQ Blog Hop. We're thrilled you joined us last week and hope you'll be back next week as well! We've got another AMAZING giveaway for everyone...you won't want to miss it! So glad you like the post! I will be back for sure at the Blog Hop! Great job making an old sweater into a great looking cardigan and for only $3, too!!! Fabulous idea to add the buttons on the sleeves. Thanks so much! I thought the buttons really helped the overall style! What a great idea! I love the red stripes too! The buttons you added on the sleeves really finish off the nautical look! Great job! Thanks for joining the party at Keep Calm and Link Up! Thanks so much! Love your party, and I will for sure be back!